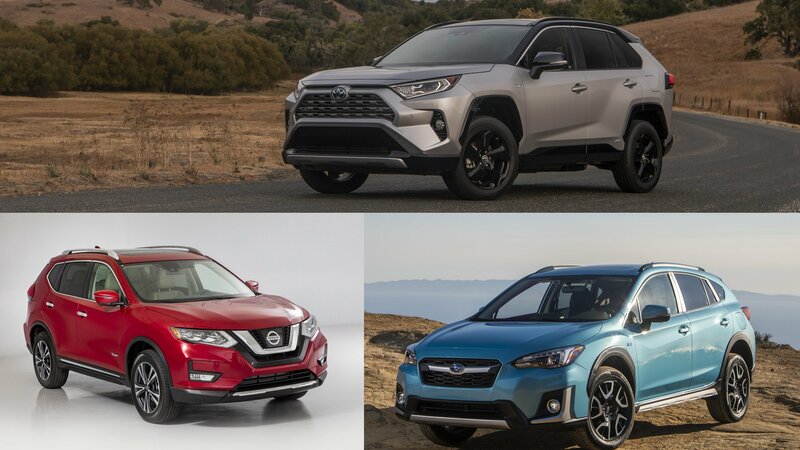 We recently posted an article that argued that the 2019 Toyota RAV4 hybrid is the way forward for the compact crossover segment, lauding its combination of comfort, practicality, technology, and most critically, efficiency. However, Toyota isn’t the only automaker in this space, with both Nissan and Subaru offering competing models that could very well steal sales from the T-badge. But how do these three look in a direct comparison? 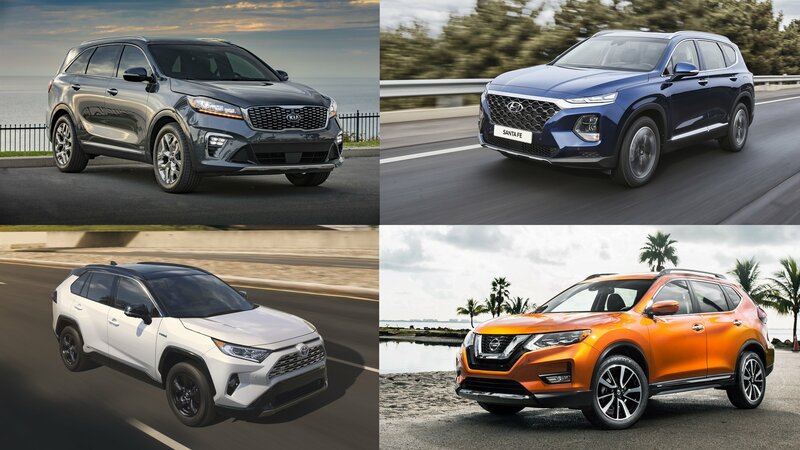 I am presenting you 5 Affordable SUVs worth considering from a crazy, overfilled segment with more contenders than we can count. With the SUVs taking over the market at an unprecedented pace, I am pressed to find nice affordable SUVs you should actually consider before your next purchase. No, I did not focus only on the cheapest, smallest or the best equipped – I actually tried to find some balance between the size, image, power output, and price. What I’ve found out is that quite a lot of rather formidable SUVs fall in the price category between $25,000 and $30,000. I picked out five of the SUVs that will be fast enough, that won’t break the bank, that have enough room inside, yet aren’t oddballs. True, nothing surprising is on the list, but that may be just a sign that these five vehicles simply tick the most boxes of interest when it comes to new SUVs. Introduced in 2013 and revised for the 2017 model year, the second-generation Rogue has evolved into one of Nissan’s best-selling vehicles in the United States. As a result, the SUV is getting a lot of attention from the brand, including a few special-edition models like the Midnight Edition. For the 2017 New York Auto Show, the Japanese firm transformed the Rogue into a snow bank and sand dune fighter. This go-anywhere Rogue is called the Trail Warrior Project and uses tracks instead of wheels. As cool as it may sound, this isn’t the first Rogue on tracks. 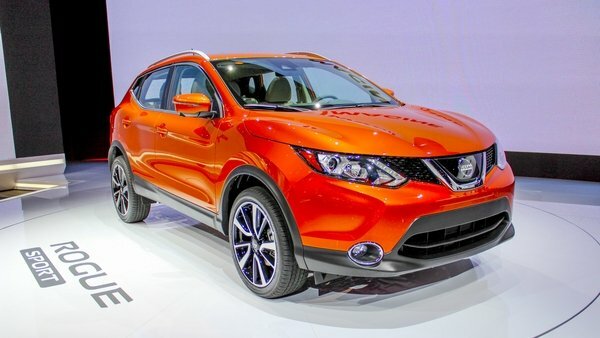 In early 2016, Nissan unveiled a similar Rogue that was build by Motorsports in Action in Quebec, Canada. Also fitted with tracks, it was demonstrated on snow and created quite a lot of buzz on the Internet. However, it wasn’t as spectacular as the Trail Warrior Project, as it lacked the military look and most of the gear. Before the Rogue, Nissan built the Juke Nismo RSnow, a Juke Nismo on track that was developed and showcased in Europe. 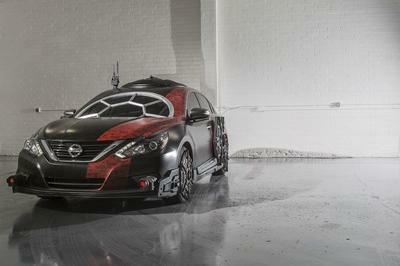 So Nissan has a lot of experience with corssovers on tracks and could build a production model. 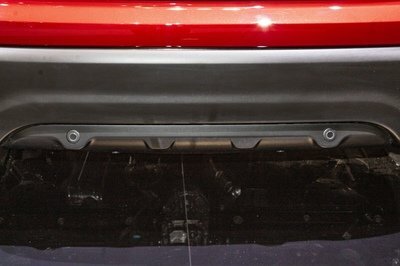 Unfortunately, is appears that the Trail Warrior Project will remain a New York Auto Show exclusive concept only. 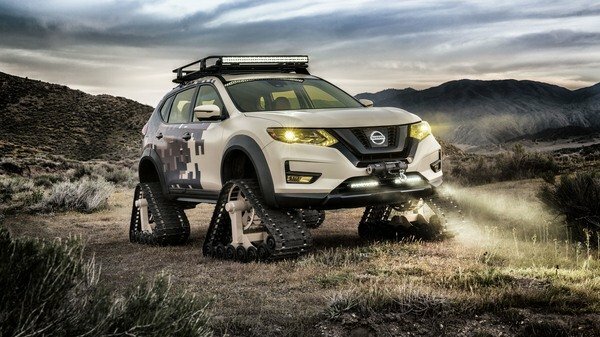 Continue reading to learn more about the Nissan Rogue Trail Warrior Project. Our Ciprian Florea recently said the Nissan Rogue Sport unveiled at North American International Auto Show was a sign of “what’s wrong with the industry.” I disagree – mostly. I think the Nissan Rogue Sport – Qashqai to Nissan outside the U.S. – is a great idea with the wrong engine. Florea took issue with the Rogue Sport’s size being too close to that of the Rogue. I say buyers will like that it’s more than a foot shorter than Rogue. And Nissan engineers deserve kudos because they did this without much compromise on the wheelbase, which is only 2.3 inches shorter than the Rogue. This should make for an interior that is surprisingly roomy compared to the exterior footprint. 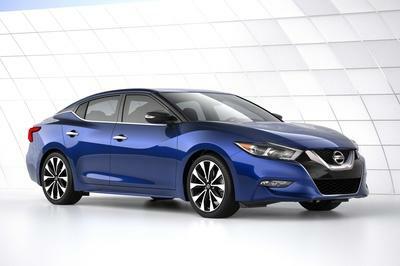 More importantly, it will slot the Rogue Sport into a sweet spot in Nissan’s lineup. While the Nissan Juke is widely credited with igniting the subcompact crossover segment in America, many find it too small. Last time my wife was car-shopping, she first test drove the current-generation Rogue. She liked the interior space, but found the vehicle somewhat intimidating to maneuver in tight parking lots. Several years of daily driving a snub-nosed Nissan cube will do that to you, I guess. Mostly, she was intimidated when backing the Rogue, though Nissan’s AroundView monitor was helpful, she said. Right after she drove the Rogue, she drove a Nissan Juke at my insistence. The Juke is a fun little thing, and it’s not much larger than the cube to which she was accustomed. I thought it might be a winner. She had less trouble parking it and could back it more easily, but the interior was simply too cramped for our family. 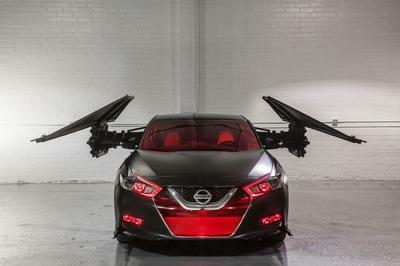 She ultimately settled on a second cube, buying one of the last 2014s available in the knowledge that Nissan would not be importing the model to America in 2015. But now that she’s seen the Rogue Sport, she says she would have liked to had a chance to drive it. The other thing about the Rogue Sport’s size that will be attractive to buyers, including my wife: Smaller tends to mean lighter, which tends to mean better fuel economy. Nissan hasn’t released EPA fuel economy estimates yet, but I would expect it to do better in the real world than the Rogue, which itself gets pretty good fuel economy. The last Rogue I reviewed a couple of years ago averaged miles per gallon in the mid-20s in mixed city/highway driving. The EPA rates the current Rogue at 33 mpg highway, 26 mpg city, 29 combined. I think the Rogue Sport will be, for a lot of buyers, the Goldilocks of the Nissan SUV lineup: Not too big, not too small, not too thirsty – just right. 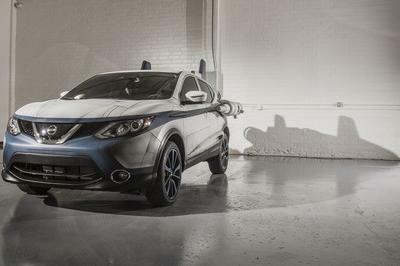 So Nissan finally brought the Qashqai to the U.S., where it will be sold as the Rogue Sport and slot between the familiar Juke and Rogue models. A very popular crossover in Europe and Nissan’s best-selling nameplate in certain countries, the Rogue Sport comes to strengthen the companies presence on the highly profitable SUV market. It remains to be seen whether it will be successful or not, but a comparison with the Rogue reveals what’s wrong with the whole auto industry today. A quick look at the numbers shows that the Rogue Sport is only 12.1 inches shorter and a tenth inch narrower than the Rogue. For a vehicle that’s more than four meters long, 12 inches isn’t that much and in this case it doesn’t make a very big difference on the inside since the Rogue Sport’s wheelbase is only 2.3 inches shorter. What’s more, the Qashqai is only 10 inches shorter and more than an inch wider than the first-generation Rogue. Why is that important you ask? Well, like most modern vehicles, Nissan made the second-generation Rogue larger than its predecessor, applying the same “buyers want more room and a more rugged appearance” strategy. 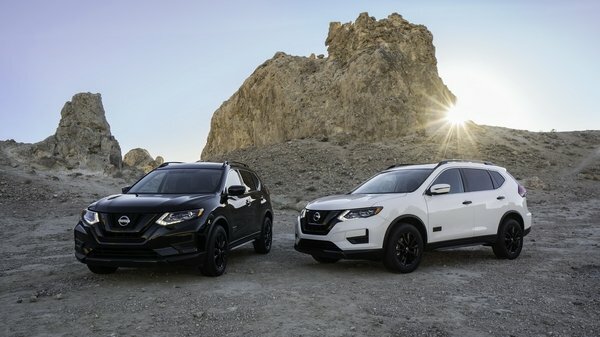 So basically it designed the Rogue with a bigger footprint back in 2012, and some years later it decided that it needs a smaller crossover that’s not as small as the Juke on the U.S. market. It’s pretty much what a lot of automakers have done in recent years. The second-generation Nissan Rogue was introduced in 2013, and much like its predecessor, it’s a version of the X-Trail specifically revised for the North American market. Upgraded inside and out for the 2017 model year, the Rogue also gained a little brother for the 2018 model year. Dubbed Rogue Sport, this new crossover is actually the second-generation Qashqai, that Nissan launched in Europe for the 2014 model year. In case you’re wondering, Nissan decided to the rename it the Rogue Sport as the company found that Americans would have trouble pronouncing the Qashqai name. In Canada, however, the Qashqai will retain its original name, which comes from the Qashqai people living in mountainous Southwestern Iran. The crossover gets its juice from a 2.0-liter four-cylinder connected to the company’s Xtronic CVT. This is the biggest engine available in the Euro-spec Qashqai, but not the most powerful, which is the turbocharged 1.6-liter four-pot. The crossover will be available in three trim levels: S, SV, and SL. Continue reading to learn more about the Nissan Rogue Sport. Unless you’ve been living under a rock for the past few years, you know that the Star Wars franchise is experiencing a renaissance. As with most valued franchises, companies have had no problem jumping in on the bandwagon. 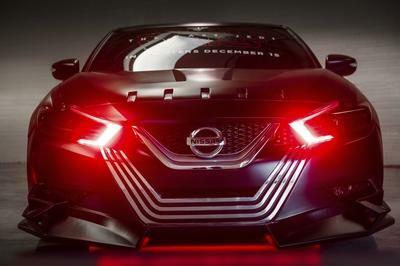 Count Nissan among these companies and the Japanese automaker hasn’t been bashful about its partnership with Star Wars franchise. 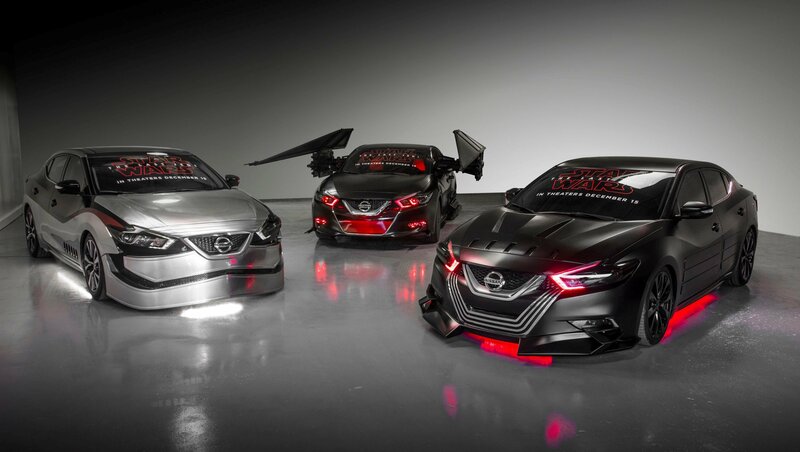 You only need to take a look at the Nissan Rogue One Star Wars Limited Edition that was unveiled at the Los Angeles Motor Show to see the lengths by which this partnership has grown in the past few years. Based on the 2017 Nissan Rogue, the SUV gets an overdose in Star Wars-related cosmetic digs, right down to the Rebel Alliance and Galactic Empire logos on the cupholders and the Rogue One logo badging on the front doors. Remember in 2013 when Nissan and Star Wars also collaborated on another model, the Juke Star Wars Edition? That version had more buzz surrounding it, but you can make a case that the Rogue One Star Wars Limited Edition SUV received more of the stylized Star Wars treatment than the Juke ever had. Here’s the best part about the Rogue One Star Wars Limited Edition: only 5,400 units are going to be made available and of that 5,400 units, 5,000 has been earmarked for the U.S. market with the remaining 400 going to Canada. It’s a far cry from the Juke Star Wars Edition, which was only made available in Japan. Remember though, the Rogue One Star Wars Limited Edition only comes in package form and is only available for Rogue models equipped with the Sun and Sound Touring Package. The package costs $1,990. 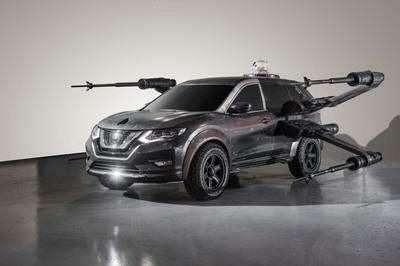 Continue after the jump to read more about the Nissan Rogue One Star Wars Limited Edition. 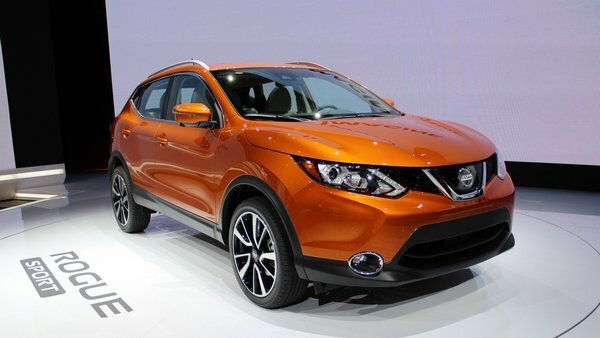 Nissan first started production of the Rogue in 2007, officially dropping cover at the Detroit Auto Show. Since then, the model has enjoyed several updates, including a new generation that was unveiled in 2013 at the Frankfurt Motor Show. Throughout its lifespan, the Rogue has always been equipped with a four-cylinder gasoline engine for motivation. But these are greener times than what we saw in 2007, and as such, Nissan just released the face-lifted Rogue with the option for a hybrid powerplant. 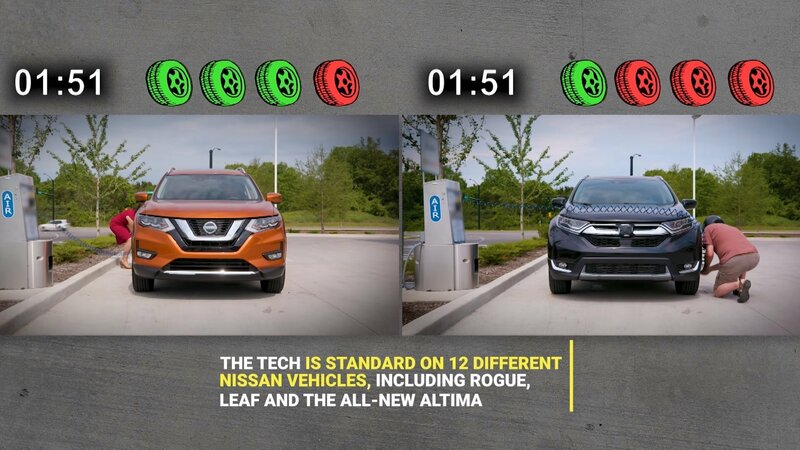 In addition to fewer stops at the pump, the new Rogue Hybrid also promises “virtually no compromise” when it comes to the compact SUV’s performance, interior space, and cargo room, as compared to the standard Rogue. 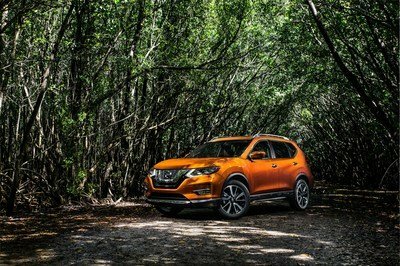 Unveiled recently at the Miami International Auto Show, the new Rogue looks poised to topple the Altima mid-size sedan in terms of average sales across Nissan’s model lineup. With momentum like that, it makes sense to offer an eco-friendly alternative to broaden the crossover’s appeal. After all, Toyota is already doing it with the RAV4. Of course, Toyota is no stranger to hybrid technology (it gave the world the Prius, for goodness sake), but neither is Nissan at this point. Paired with crossover sales that continue to show strength year after year, the Rogue Hybrid should have what it takes to perform. Right? Updated 01/31/2017: We’ve added up-to-date pricing information, as well as more info on competing models. Continue reading to learn more about the 2017 Nissan Rogue Hybrid. Now in its second generation, the Nissan Rogue has been doing remarkably well lately, with sales looking to dethrone the Altima in the Japanese automaker’s lineup. Now, Nissan is giving the Rogue a facelift, adding new styling, new technology, and most excitingly, a new hybrid powertrain option. Let’s talk about the hybrid first. This is the first time the Rogue has received battery-powered assistance, pairing a lithium-ion juice-maker with a single 30-kW electric motor and 2.0-liter internal combustion engine. An Xtronic automatic transmission routes the output. Paired with FWD, the Rogue Hybrid manages an estimated fuel economy of 33 mpg in the city, 35 mpg on the highway, and 34 mpg combined. 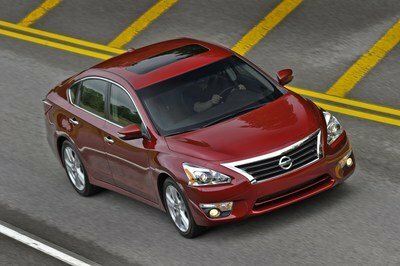 If you prefer to go gas-only, you still get 170 horsepower from a 2.5-liter four-cylinder. Both the Hybrid and ICE-only variant are offered with either AWD or FWD. Outside, you’ll find new styling, with plenty of tweaks to the front fascia. Customers get nine different paint choices, while 18-inch alloy wheels are offered as an available option. There’s new styling inside as well, plus new materials throughout the three-row, seven-passenger cabin. Techy bits include navigation, Mobile Apps support, a 7.0-inch touch screen display, voice recognition, and Around View monitor. There are also available heated front seats. Safety wise, the Rogue gets stuff like Blind Spot Warning, Lane Departure Warning, and Lane Departure Prevention, as well as available Forward Emergency Braking, Pedestrian Detection, and Intelligent Cruise Control. Non-hybrid variants are offered in three trim levels (S, SV, and SL), while the Hybrid gets two trim levels (SV and SL). 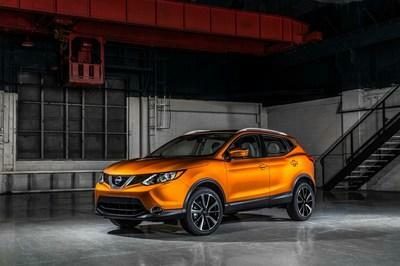 Look for the refreshed Rogue to make its big public debut at the Miami International Auto Show. Nissan recently announced plans to sell the 48-mpg Nissan X-Trail Hybrid in Japan starting next month, and since the X-Trail is essentially the same as the U.S.-spec Nissan Rogue, it theoretically wouldn’t take much to offer a Rogue Hybrid. Nobusuke Toukura, chief engineer for the X-Trail, backed that up by saying that Nissan is considering such a hybrid, although it was far from any type of confirmation and there was no time frame mentioned. 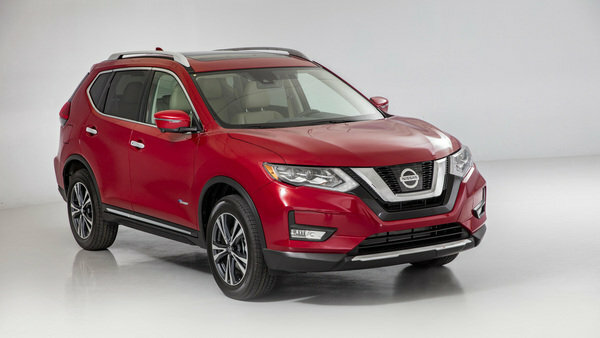 Assuming it would simply carry over the same drivetrain components from the X-Trail Hybrid, a potential Rogue Hybrid would swap out the current 2.5-liter four-cylinder engine for a 2.0-liter four-cylinder that Nissan promises will offer enhanced quietness and acceleration. 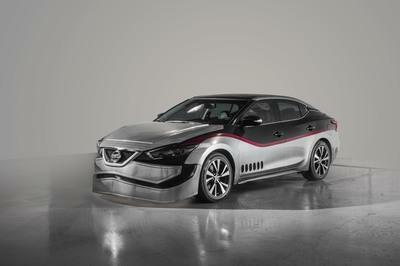 The key difference, of course, is the added electrical components, which in this case is Nissan’s Intelligent Dual Clutch Control (a single motor with two clutches) powered by a lithium-ion battery that doesn’t eat into any of the crossover’s cargo capacity. In addition to its improved fuel economy, the X-Trail Hybrid also promises a 75 percent reduction of NOx exhaust emissions. Although Nissan remains mum on plans for a Rogue Hybrid crossover in the U.S., the X-Trail Hybrid is expected to be a hit in Japan, perhaps accounting for 40 percent of X-Trail sales. 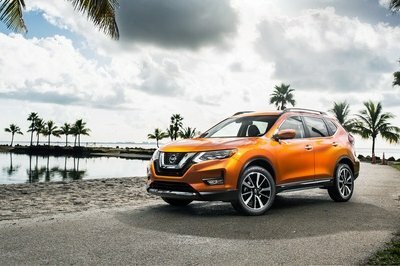 With the Rogue currently ranked as the second-best-selling product in Nissan’s U.S. portfolio, the addition of a hybrid model would surely help to continue the compact CUV’s sales surge. 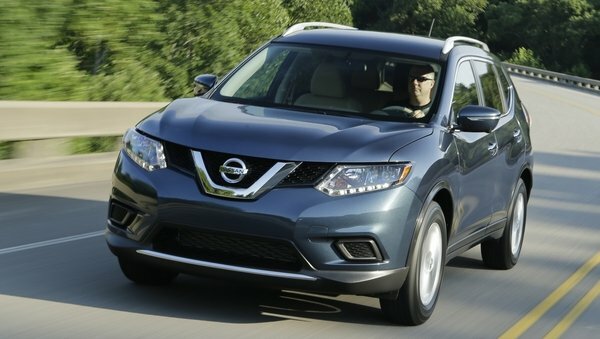 Click past the jump to read more about the future Nissan Rogue Hybrid. Nissan Rogue Could Get A Hybrid Version originally appeared on topspeed.com on Wednesday, 15 April 2015 14:30 EST.